Representatives from NASA have reported that they have definitively identified a secondary moon which is orbiting Earth. Astonishingly, they believe that while the newly discovered mini-moon has been in orbit for more than a century without ever being detected before. The space agency has explained that the smaller moon is moving on a rather irregular path compared to the Moon. It has an elliptical orbit and passes at a distance to Earth of between thirty-eight and a hundred times further than the Moon. It is also in a tilted orbit which means that it sometimes travels must faster through space than the Earth and, at other times, its speed is much slower. 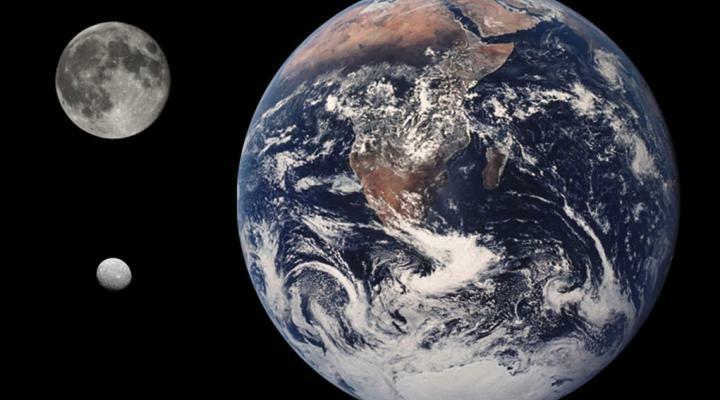 This discrepancy means that this moon has a slightly different length of a year than an Earth year. “Since 2016 HO3 loops around our planet, but never ventures very far away as we both go around the sun, we refer to it as a quasi-satellite of Earth,” said Paul Chodas, manager of NASA’s Center for Near-Earth Object (NEO) Studies at the Jet Propulsion Laboratory in Pasadena, California. “One other asteroid — 2003 YN107 — followed a similar orbital pattern for a while over ten years ago, but it has since departed our vicinity. This new asteroid is much more locked onto us. Our calculations indicate 2016 HO3 has been a stable quasi-satellite of Earth for almost a century, and it will continue to follow this pattern as Earth’s companion for centuries to come.” Representatives from NASA have referred to the mini-moon as Asteroid 2016 H30 and believe that it was caught in the Earth’s orbit at least a hundred years ago. However, the moon is incredibly small and has therefore evaded telescopes before now. The mini-moon is only forty meters in width and a hundred meters in length which means that it is incredibly difficult to view in the night’s sky without the use of specialized equipment. It has been reported that the smaller moon was detected and studied using the PAN-STARSS 1 asteroid survey telescope which is based in Haleakala in Hawaii. Unlike the older Moon, Asteroid 2016 H30 is described as being a quasi-satellite meaning that it will not be in the Earth’s orbit indefinitely. However, representatives from the space agency said that given the current trajectory of the mini-moon, it is not expected to break away from the orbit of the Earth for several centuries. This means that the Moon will have a smaller companion for quite some time.